OSB Golf Heights Sector 69 is an upcoming affordable housing project by Ocean Seven Builders (OSB). Also, it will sit at a major location on Southern Peripheral Road (SPR). 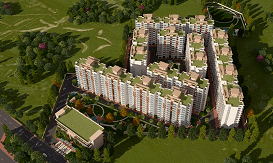 Moreover, the project is in a close range of Sohna Road which makes Golf Heights Sector 69 easier to travel. Additionally, a proposed Metro Station and a Shopping Complex are also close. In fact, OSB Golf Heights features a wide range of world-class amenities. Actually, it offers a play area for children, 24 hours power supply, parking, CCTV surveillance, fire safety system and so on. Supertech the valley Gurgaon is offering flats in Gurgaon under affordable housing project. This project is for individuals who share a passion for design and quality. Moreover, it is one of the best new projects on Dwarka Expressway. Also, these residential apartments are in a prime location in Gurgaon. Furthermore, it will provide extraordinary homes that represent a synthesis of originality. Supertech the Valley sector 78 is low budget flats in Gurgaon with a remarkable scale of homes. It features excellent architecture resulting in luxurious homes. Additionally, they are beautiful and modern, yet warm and inviting. Moreover, the project is in an adjoining area of Gurgaon and yet away from traffic and congestion. It offers excellent connectivity and quick access to the important landmarks of Gurgaon. Indeed, essential services like Hospitals, Shopping centers, and educational institutes are nearby. Hence, all this allows you to strike a perfect work-life set of scales. Imperia Aashiyara Gurgaon comes under the affordable housing policy where home buyers easily get an apartment at the lowest price. Furthermore, Imperia affordable housing Gurgaon offering 1 BHK, 2 BHK apartments including lots of amenities. Like badminton court, swimming pool, tennis court, free visitors car parking, yoga center and much more. 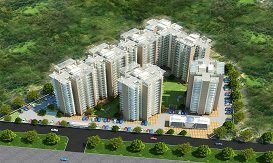 In addition, the location of Impera affordable housing Gurgaon easily connected to other parts of Gurgaon. Such as hero honda chowk, Dwarka expressway, Rajeev Chowk and IGI airport, few minutes from the upcoming metro station. Also, close to shopping complexes, education institute, hospitals, and food restaurants. Agrante Affordable Sector 108, in Gurgaon, Haryana is a new project of residential apartments in Gurgaon. Moreover, it is a compliment to the dream of everyone who desires of owning a sweet home. Furthermore, it sits at a prime location of Gurgaon at Dwarka Expressway. In fact, Agrante Sector 108 come in the list of residential apartments in Gurgaon which brings world-class lifestyle and affordability together. Also, it will be nesting in the proximity to the main places of the city. Additionally, the project has apartments with well-structured design and are value for money. Affordable Housing Project in sector 108 Gurgaon is the beginning of a journey towards realizing the dream of a home for everyone. Pyramid Affordable Housing Gurgaon Sector 67A is one of the best properties for sale in Gurgaon. Moreover, properties like Ireo the Corridors, M3M Urbana, Ireo Victory Valley, and many other surrounds the project. Hence, Pyramid Urban 67A is one of the best property to buy in Gurgaon. 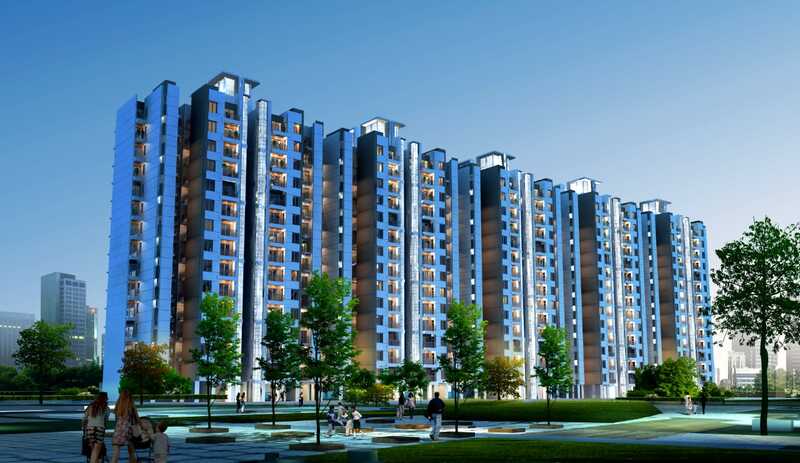 Also, it is the third project by Pyramid Infratech group among the new affordable property projects in Gurgaon. Furthermore, these list of residential apartments in Gurgaon would commend as extraordinary. Indeed, this latest affordable property provides latest and high-quality features for clients. Also, this project is much superior to other projects on Sohna Road. Suncity Affordable Sector 76 is the latest upcoming affordable property in Gurgaon. Also, it will sit on NH- 8 making it very easy to move to all the major areas in Gurgaon. Moreover, many Medical centers and Hospitals are also within reach. In fact, Suncity Affordable Gurgaon 76 is the second housing project built by the Suncity Group. Furthermore, the project has apartments that are rich in little details and features. Indeed, this Affordable Housing project in Gurgaon features many modern amenities. Such as, kids play region, 24 Hours Power and Water backup, well-equipped gym, Fire fighting system and more. Furthermore, the luxurious and modern apartments will help in making your life comfortable and peaceful. 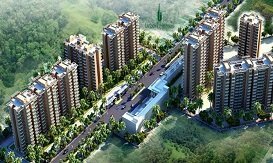 Godrej sector 106 is a new project on Dwarka expressway by Godrej Property. Godrej’s goal is to deliver superior value to the residents. Hence, they created imaginative and outstanding spaces. Moreover, the project Godrej Meridien Gurgaon is a masterpiece of architecture and unique design. Furthermore, Godrej Dwarka Expressway project's designed to provide a unique living experience. Also, Godrej Sector 106 offers luxurious 2 BHK, 3 BHK, and 4 BHK residential flats on Dwarka Expressway. Moreover, many amenities and features come loaded in the project. Hero Realty is bringing you a new upcoming luxury residential Project in Gurgaon "Hero Homes". It will sit at a prime location in Sector 104 on Dwarka Expressway. Moreover, it will be offering a wide range of luxurious 2, 3, and 4 BHK semi-furnished apartments. Additionally, there will also be a modular kitchen and extremely highlighted interiors. Furthermore, this project will offer you a 75% Open Area for free living. Also, the location will benefit the project as well. Indeed, it will be near Shopping Malls, Hospitals, Entertainment Hubs and more. In fact, the IGI Airport and Railway Station will be a short drive away. Hero Homes Sector 104 will be one of the most luxurious upcoming residential projects in Gurgaon. It will have many world-class and ultra modern amenities and features, making your living experience extremely comfortable and high-class. Actually, it will feature amenities such as Swimming Pool, Clubhouse, Badminton Court. Also, a well Equipped Gym, Cafe and much more will also feature. 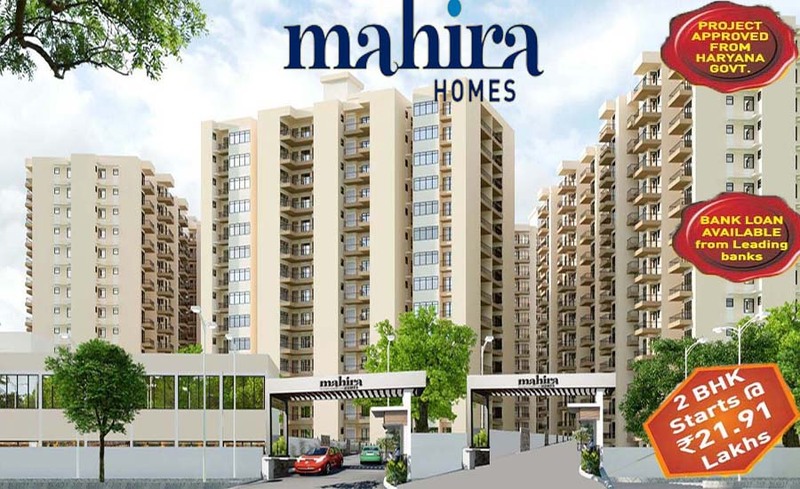 Mahira Homes Sector 68 in Gurgaon is a new affordable housing project. Moreover, the project spans an area of 10 acres and constructed under the HUDA affordable Housing policy. Also, it features a range of luxurious 2 and 3 BHK apartments. And, is sitting on Sohna Road. Furthermore, the project possesses many location benefits. Indeed, it is close to many shopping malls, schools, and entertainment hubs. Actually, IGI Airport is also a short drive away from the project. In fact, Mahira Homes Sector 68 is a project which is full of promise. Additionally, the building process of the project includes modern architecture and construction methods. In fact, it features many modern features and amenities that will make your life very comfortable. Indeed, it is providing you with facilities such as 24x7 Water and Power backup, 24x7 Security, and Swimming Pools. Additionally, a Fire Fighting System, a play zone for children, and more. Also, due to the location, there will be hospitals nearby and a proposed Metro station situated closely. Signature Global 79 is a new project under HUDA Affordable Housing. Moreover, it sits in the prime location of sector 79 where many projects surround it. In fact, there the projects near it including Supertech Aadri, Supertech Basera and Besttech Park View Altura etc. Furthermore, Signature Sector 79 is one of those residential apartments in Gurgaon which has a great advantage on its resale value and healthy neighborhood. Also, accompanying it is a project like Signature Global Sector 63A. Additionally, it gives a wide range of luxurious 1 BHK, 2 BHK, and 2 BHK + S apartments at an affordable price range. Actually, it is the sole purpose of Signature Sector 79 Gurugram to provide timely delivery and quality assurance. Signature Global Solera Phase 2 is making it easier for you in buying a house in Gurgaon. This project meticulously arranged immense living spaces. Moreover, it offers adequate regular light and appropriate ventilation to all homes. 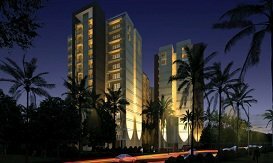 Also, Offering a wide variety of 1 BHK and 2 BHK condo. And, extending in a measure from 338 sq.feet to 577 sq.feet cover zone. This reasonable lodging venture is set to hypnotize everyone. 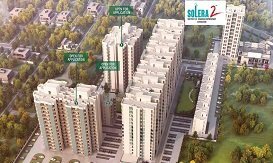 Furthermore, Solera 2 Sector 107 is in the list of residential apartments in Gurgaon which is one of the best Delhi-NCR property. In fact, the neighbored is sitting amidst some noticeable private townships that have been developed to make their essence at the Gurgaon Sector 107. Additionally, Solera 2 features a mix of basic and grand courtesies. Signature global The Millennia 37D in Gurgaon is an affordable housing project which makes it easier to Buy Property. Also, it is comprising of 1, 2 and 3 BHK pads. Thus, you can live amidst nature and enjoy a modern lifestyle. Additionally, Signature Global is a new property in Gurgaon at sector 37D. Moreover, it is away from the clutter, congestion, and chaos. Furthermore, these new affordable housing schemes are crafted with the flow in interiors and design that are harmoniously synced with the ambiance. So, the project is most preferred for people who want to own a home in Gurgaon or adjoining areas. Moreover, Signature Global Sector 37D the millennia is conveniently connected to all the important locations of Gurugram. 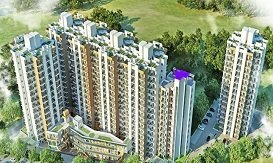 Signature Global Sector 37D The Millennia is in the list of residential apartments in Gurgaon which will add a precious corner in the city of Gurgaon. 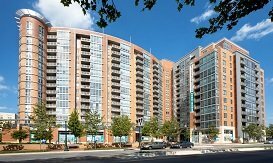 This list of residential apartments in Gurgaon is a well-planned project and has all the up to date amenities. Signature Global Sector 93 is one of the best property in Gurgaon. That offers affordable homes at promising prices. Indeed, this project is in a rich area with proper planning, designing, and space management. Also, it sits in sector 93, Gurgaon. Moreover, Orchard Avenue is the fifth project that built the Signature global. Furthermore, it is in the most preferred location in Gurugram. Actually, the list of residential apartments in Gurgaon offers a flat of 1,2,3 BHK. Additionally, the transportation network in sector 93 helps the project. In fact, the area transport includes shared cabs. Also, the proposed metro will also help. 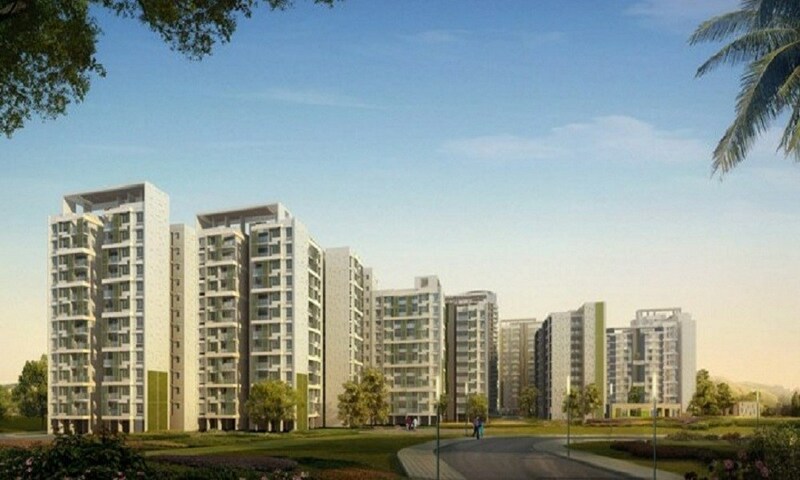 Orchard Avenue Sector 93 is a residential apartments project in Gurgaon. Also, it is under HUDA affordable housing. Moreover, it is situated in Gurgaon nearby the Pataudi area and is also close to NH-8. Furthermore, it has the convenience of shopping, dining, training, and Medicare at strolling distance. Rof Sector 95 in the list of residential apartments is a new upcoming affordable housing project in Gurgaon. Moreover, it will positively provide you a world class of living in Gurgaon. Ananda Sector 95 spreads over the land of 5 acres with landscaped grounds. Additionally, it will offer you an opportunity to buy luxurious 1, 2, 3 BHK apartments. Also, it will have a modern infrastructure and will sit by Dwarka Expressway and NH-8. And, there's also an upcoming metro station. In short, Rof Ananda in the list of residential apartments in Gurgaon project is an affordable home. Furthermore, the construction plan of the project is under process and will complete in December 2020. 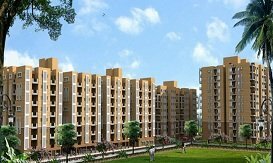 Kshitij Sector 95 is one of the Huda affordable housing schemes in Gurgaon by Ramson Group. And, situated at sector 95. It is an integrated part of the list of residential apartments in Gurgaon. This project elegantly matches with you and is designed with basic benefits. In fact, it offers a swimming pool, jogging area, play area, and landscaped area with greenery garden. And, that help the needs of the residents. 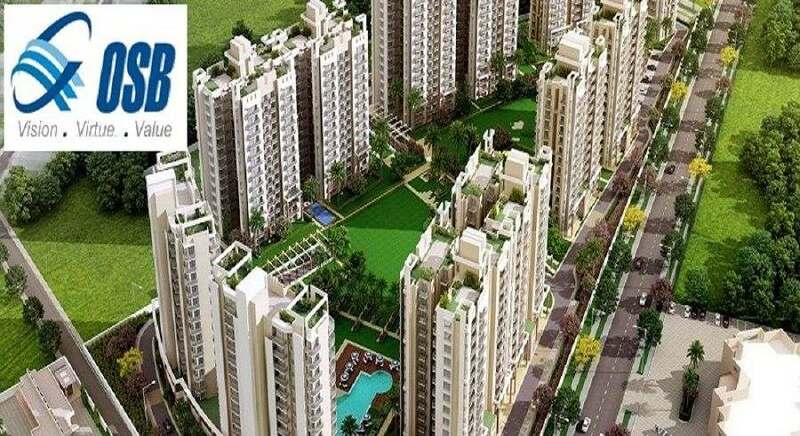 Ramson Sector 95 is an affordable housing in Gurgaon. Moreover, the design of the interior part of this project is modern and luxurious. Also, the 1, 2, and 3 BHK apartment have tiles with solid design and built. AVL 36 Sector 36A are affordable homes that are well developed by AVL Group. Also, AVL builders are commonly known for their residential ventures. Also, it has all the luxurious features. Moreover, this list of residential apartments in Gurgaon is basically a property for the economic class. And, it provides special quality amenities. Such as automatic lifts, Gym, Clubhouse, playing zones for kids, community hall. Additionally, there are parking stops, water, and power reinforcement and much more. Indeed, AVL 36A Affordable Housing list of residential apartments in Gurgaon is launching low budget flats in Gurgaon. Furthermore, it is spanning on 9 Acres with approx 50% of the open area. And, 18 towers beautifully crafted to adjust 1480 number of 1 and 2 BHK condos. 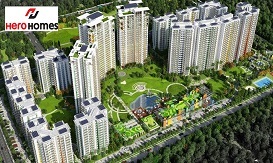 GLS Sector 106 is an ongoing project in Gurgaon. Moreover, it is inside the closeness of Dwarka Expressway. And, it is a private venture at Sector 106 of Gurgaon City, Haryana. Moreover, this Affordable Housing Project is a flawless private complex of ample and glorious apartments. Thus, GLS is providing the best residential services to the home seekers. Indeed, GLS Gurgaon Sector 106 list of residential apartments in Gurgaon includes best in class luxuries. Furthermore, its equity to every last bit of room in its extravagance condos and firm constancy in development. Thus, GLS Sector 106 Affordable is a unique project and would take your living to a completely new level of extravagance. 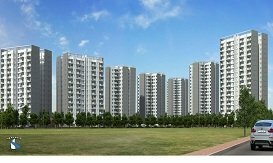 GLS Gurgaon Sector 81 is a new affordable housing in Gurgaon on NH8. And, it is near locations like Dwarka Expressway and Pataudi Road which gives an extra incentive to it. Moreover, it is a long way from the defilement and clatters of the fundamental Gurgaon. Also, it offers these excessive low spending pads in a list of residential apartments in Gurgaon. In fact, you won't discover the luxuries and highlights that it offers in any private task at this value run. Thus, GLS Affordable Sector 81 will captivate your living. And, impact you to surrender to this superb project in the best zone of the city. Hence, GLS Affordable in the list of residential apartments in Gurgaon is a champion among affordable ventures. And, it is in the city for a durable hypothesis as the zone of Sector 104. Pivotal Devaan Housing 84 in the list of residential apartments in Gurgaon is a hot property. Also, it is designed by exceptionally experienced planners. Moreover, Pivotal Devaan Housing outperforms the desires of the most recognized home searchers and benchmarks. And, it is one of the best residential property in Delhi NCR. 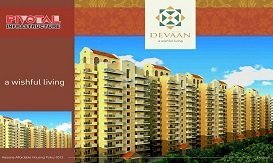 Devaan Sector 84 is sprawling in an area of 5.17 acres providing luxurious 2 BHK flats. Furthermore, it comes loaded with amenities and features. In fact, it offers a Clubhouse with Modern Facilities, as well as Crèche and Kids’ play area, a Yoga zone, elevators and more.